Saturday, November 29th is Small Business Saturday. Small Business Saturday has quickly become widely recognized as the day to kick start the holiday shopping season. Anchored between Black Friday and Cyber Monday, small businesses stand out thanks in part to the national media attention Small Business Saturday generates, but also in part to the individual efforts small business owners nationwide contribute to make this day one of a kind. As a small business competing against national chains in the security business, Protection Concepts completely supports Small Business Saturday. We encourage you to support your local small businesses. Here are some things you will find with small businesses that you cannot get from the national chains. The quality of the items available at a small business store is usually superior compared to that in the big corporations. They may be slightly higher in price, but the quality that they offer for this slightly higher price is certainly worth the money spent. Small businesses build products to last, instead of concentrating on selling them at discounted prices. The quality of service provided by small businesses is much better as compared to big corporations. Small businesses go out of their way to help their customers. 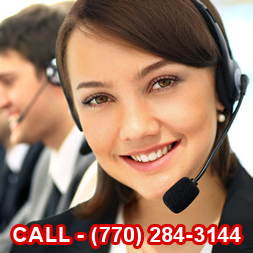 They can be contacted anytime during business hours and they are always there to help. When comparing big vs small business the personalized services that customers get from small businesses are almost never available from big businesses. Another small business advantages is the approach at small businesses is cordial. They are warm and friendly towards their customers, and often know them by name. Customers are usually on personal terms with employees and the business’ owner. More often than not, small businesses make their customers feel like valued friends. This personalized and friendly approach is what appeals to consumers and they keep coming back for more. The bottom line in big vs small business competition is to identify your uniqueness and small business advantages, leverage them to retain existing customers and to reach out to a larger customer base. Thanks to More Business for these ideas.